Victor’s tradition of unparalleled safety, performance and reliability remains a cornerstone of the brand. 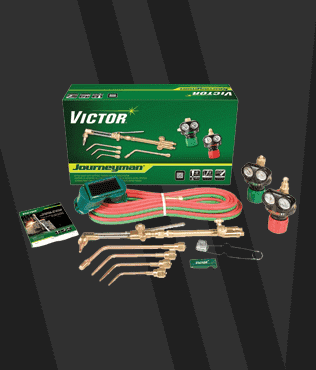 Victor’s founder invented the modern torch and regulator. With products like the revolutionary Victor EDGE™ regulators, we continue to offer the highest quality gas equipment available. Arcair invented arc gouging in 1949, and we’ve been the leading name in metal removal and cutting ever since.